Diamond earrings are the perfect accessories for women to add to their wardrobe, and they are excellent gifts for the special someone in your life. 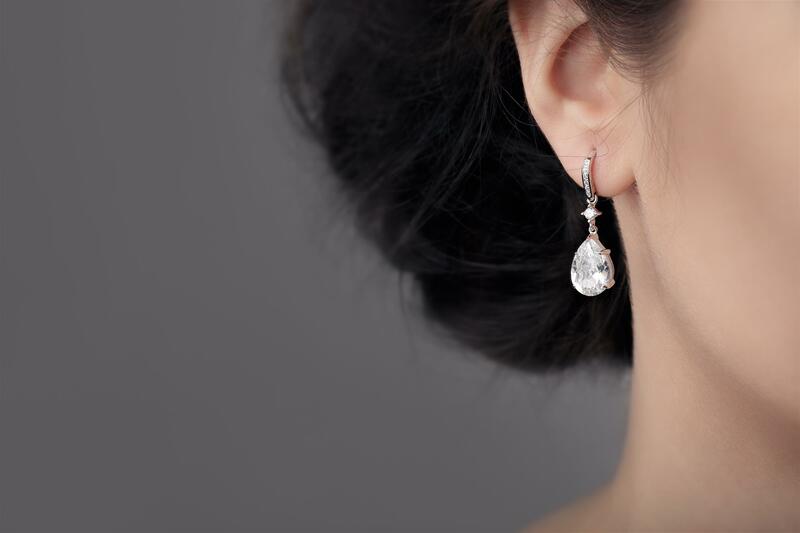 Whether you are looking for white gold, yellow gold, or a certain size diamond, The Diamond Vault is your one-stop shop for diamond stud earrings. 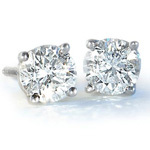 Diamond stud earrings possess a timeless beauty. Imbued with a classic charm, they're incredibly simple yet enduringly elegant. They're also versatile. Earrings are great for everyday wear, in addition to special occasions. At the same time, a pair of diamond studs shows your care and affection for the one you love. You deserve the ability to find the best deals on the most elegant selection of diamond stud earrings available. That's why you shop for earrings at The Diamond Vault. Here you can find diamonds in a variety of gorgeous cuts. Many prefer round or princess cut. It’s easier with these cuts to match the proportions of each diamond so as to create a beautifully balance pair. When you are shopping for diamond stud earrings, quality is everything. That's why it's important to understand the subtleties of diamond quality, a term that means different things depending on the piece of jewelry you're purchasing. Since diamond stud earrings are less visible than engagement rings-you'll rarely show them off to friends and acquaintances-the standards tend to be less rigid. With earrings, you can be more flexible when it comes to color and clarity, both of which are critical when choosing a ring. On the other hand, there is less room for error when selecting carat weight with no band and no elaborate setting to distract attention away from the diamond, a smaller carat may appear more obvious. Finest Diamond - The highest quality diamond on the market. Brilliant sparkle. Dazzling beauty. Clarity is unbeatable, always equaling or exceeding SI2. Color is nearly perfect - almost colorless at a range of H-I. The Diamond Vault's most exquisite offering, this level of quality is perfect for those who demand perfection. Finer Diamond - Second only to the finest diamond. Impressive sparkle. Superb clarity - hovers around I1 or above. When you are shopping for diamond stud earrings, quality is everything. The Diamond Vault has unique, real diamonds set in 14K white or yellow gold. Find the perfect pair online, or stop by our Scottsdale store to see them in person. The Diamond Vault has been a direct importer and manufacturer of diamonds and diamond jewelry since 1993, serving customers in Scottsdale & Phoenix, AZ. Contact us or visit us at our showroom today to learn more!